The Just Fold! 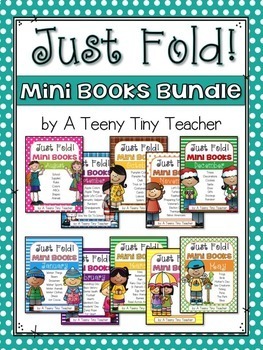 Mini Books Bundle is exactly that! No collating, no stapling -- Just Fold! They can be used in a variety of ways. Use them at your Work on Writing station during Daily 5, as a center activity, a whole group activity, in your guided reading time with a small group, as an intervention, or even as homework! Each mini book comes in four versions (trace the sight word, trace the sentence, fill in the blank, and write your own story) so that you can differentiate for your learners! The bundles includes the months August through May.